Check out these fancy raised ink business cards we printed for the best hair stylists in Wheaton! These beautifully designed cards utilize a metallic gold stock with black thermography for a classic and professional appearance. The uncoated backside provides an area for stylists to write a customers next appointment on the back. While some may believe raised ink business cards died in the 80’s with the Flowbee, creative combinations of paper stock and printing techniques have inspired a revival. 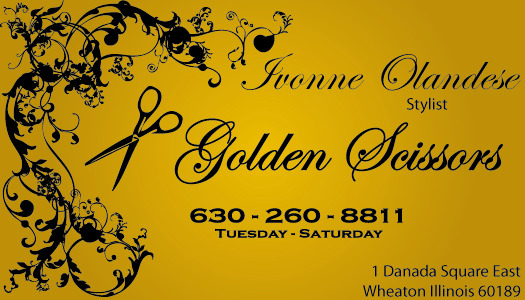 The barbers have a different version of full color business cards which you can view by clicking on the link. Raised ink business cards are an effective and affordable way to build your brand. From regular thermography to matte and metallic, to translucent inks and creative fillers, dream ink offers a wide range of raised ink business cards. Whether you need the most affordable or most attractive, we will develop a business card to fit your brand and budget. From concept to completion, our team will make sure the most effective design and printing options are presented. We also offer full color business card printing, foil stamping, and embossing. Need a custom shape or die-cut card? No problem! Contact us today for a free quote!